Lopez was Real Madrid’s number one goalkeeper for much of last season. 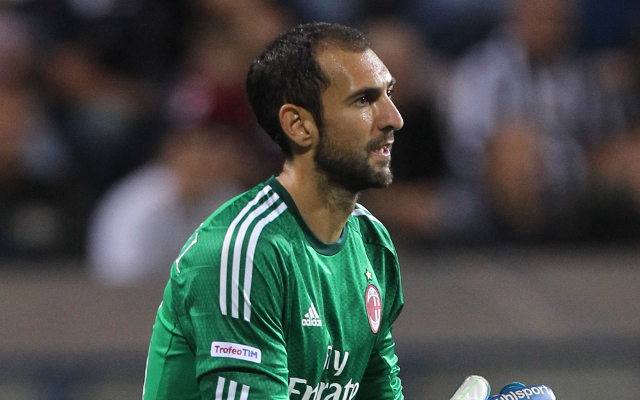 Diego Lopez produced one of the great goalkeeping howlers in AC Milan’s amazing 5-4 victory over Parma yesterday. Di Maria’s first goal – Check out Angel Di Maria’s first goal as a Manchester United player. It was only Lopez second game for his new club after moving to Milan from Real Madrid during the summer. He had endeared himself to the clubs fans on his debut against Lazio when he saved a penalty but after this mistake he is right back to square one. The back pass should have been pretty easy to deal with but he let it bounce past him, then as the ball goes into the net, he falls over and strains his hamstring! Luckily the howler didn’t cost Milan their win as they were already 5-3 up by this point.